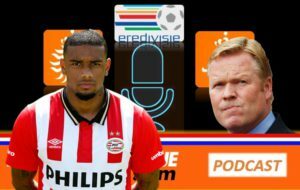 You are here : Football Oranje » Eredivisie » Podcast #24 | What next for the Netherlands? Podcast #24 | What next for the Netherlands? Welcome to podcast #24 from Football-Oranje – discussing all Dutch football. This week, Michael Statham, Michael Bell and James Rowe talk about what is next for the Dutch national team and who their picks are for the next manager. The Eredivisie is also discussed and your questions are answered that were sent in via social media. You can listen to our podcast on YouTube, SoundCloud and iTunes. Don’t forget to like and subscribe! Thank you.